With its smaller vines, its perfect for the gardener with limited space! 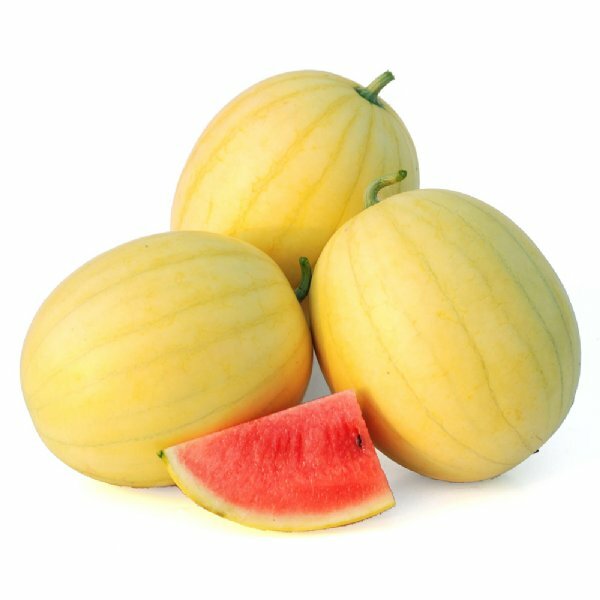 Faerie Watermelon produces creamy yellow rinds with narrow green stripes, and reddish-pink flesh that is crisp, sweet and flavorful. Weighing only 4-6- pounds, it’s the perfect family-sized melon. Vines never reaching more than 11-feet. This AAS Winner offers good disease and insect tolerance as well. Comment: I got these watermelon plants healthy & they are growing well in my garden. I look forward to the watermelons that they are going to produce. Comment: Transplanted the healthy Faerie Watermelon plants I received. They took off and are growing extremely well in northern WNY climate. Multiple vines, long and healthy. Produced five to six melons on each vine. Grew them in narrow raised bed container. Used fruit set spray and calcium while growing. I will continue to grow them every year. Melons sweet and tasty. Comment: I got the plant intact in the USPS box.Thanks. Comment: My Watermelon looks good. The vines are starting to climb. Will purchase again. Comment: Faerie Watermelon Plant came quickly and is doing great right now. Doubled in size in one week and is very healthy! "I have never been disappointed with GrowJoy"
Comment: Really healthy Watermelon plants and well-packed, as usual. Comment: arrived in good condition and as always great transaction...thanks! Comment: Looks great! Can't wait for a Watermelon!! Fast shipping too. Comment: This Watermelon plant is doing well in Houston's extreme summer temps.